Conservatives welcome. Libs & RINOs go away. It's all of you destroying the society and conservatives must no longer appease you! If someone can watch this without tears, they’ve got a heart of stone. On Sunday, in Plant City, Florida, inside the Big Red Barn, a wedding took place that was simply unlike any other. An eighteen-year-old boy suffering from terminal cancer who only has weeks to live married his high school sweetheart, and there wasn’t a single person there who wasn’t shedding tears. Roughly one year ago, the day before he turned 18, Dustin was diagnosed with synovial sarcoma, which later went into remission. But then it returned twice more, and the third time doctors said they were helpless to stop it. They have told Dustin that he has weeks or at most one month to live. In the four days in which the wedding was planned, the community donated everything for the wedding, including Sierra’s dress, Dustin’s suit, the venue, the cake, and the DJ; the community donated over $7,000 for the wedding. Dustin and Sarah are planning to go to Disney World for their honeymoon; they are also planning a trip to Colorado in February. The House Intelligence Committee voted Monday to release the controversial FISA memo on alleged abuse at the FBI and the Department of Justice. Schiff complained that Republicans voted against releasing a counter-memo by the Democrats that attempted to provide their context to the controversial FISA memo. “The release-the-memo crowd apparently doesn’t want to release the memo now,” he said. 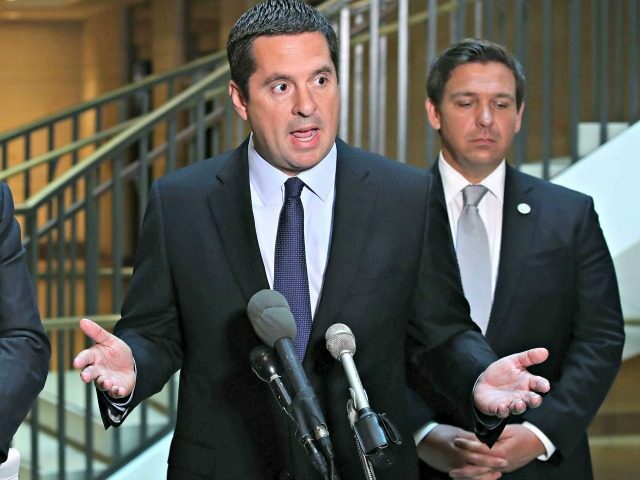 The memo was written by Rep. Devin Nunes (R-Calif.) and reportedly details actions by the FBI and the Department of Justice in relation to FISA warrants against members of the Trump campaign. Several Republicans and allies of the president have claimed that it presents evidence that could undermine the credibility of the Mueller investigation into Russian election interference and alleged collusion with the Trump campaign. Rep. Adam Schiff (D-CA) spoke with reporters on Monday evening after the House Intelligence Committee met to vote on the release of the secret FISA Memo. Schiff said his motions to delay the release of the explosive memo were voted down. Schiff also said the committee voted to release the Republican FISA memo to the public. The Democrat memo WILL NOT be released at the same time as the GOP memo. Adam Schiff also said the FBI and DOJ are under investigation. Schiff says House Intelligence Committee Republicans have opened an investigation into the Justice Department and FBI. The post BREAKING=> ADAM SCHIFF DROPS BOMB – Says GOP House Intel Committee Has Opened Investigation Into FBI and DOJ (VIDEO) appeared first on The Gateway Pundit. German public broadcaster ARD has been blasted after admitting it “boosted” the sound of booing at the speech given by U.S. President Donald Trump late last week. ARD released a clip of the speech on the Twitter account for its popular news programme “Tagesschau” in which distinct boos could be heard directly after the President’s comments. A short time later the programme admitted it had booted the volume of the audio in order to showcase the booing. The show has since been accused of “manipulation”, Stern reports. Kai Gniffke, the editor in chief of ARD defended the move saying that it proved the reporting of his journalists. “By the way, newspapers also make comparisons when they enlarge image sections and may even mark them with a red circle – nobody would come up with the idea of calling this manipulation, but rather journalistic precision,” he said. The move is not the first time the German media has shown a bias against the U.S. President. German left-leaning magazine Der Spiegel has been slammed by many for its various magazine covers including one that depicted President Trump cutting off the head of the Statue of Liberty designed to be reminiscent of Islamic State executions. Germany’s establishment media collectively lost their minds when Breitbart London reported on a cathedral being set on fire in January last year, in addition to the use of an illustrative jetski photo which happened to include a barely recognisable, famous semi-retired footballer. The left continued its assault on the English language today by hijacking words like “cruel” and “horryifing” to describe the act of letting healthy babies be born and live. Democratic Senator Elizabeth led the charge saying it would be cruel to ban abortionists from killing unborn babies who are 5 months or older. Most people would consider it an act of cruelty to exterminate a life like this, but as I said, the left changes words to fit their disgusting agenda. The Senate is poised to vote on a bill today that would ban abortions after 20 weeks of pregnancy. Doing the math, you can see that 20 weeks translates into about 5 months. At this point in the development process, a 5-month-old unborn baby is recognizable as a living human being. To kill a living human being as matter of convenience is barbaric. “Whatever you believe about abortion personally, this 20-week abortion ban is dangerous and cruel,” said Warren. Cruel and dangerous to who? Abortions are definitely dangerous to unborn babies and cruel if they are killed for no other reason than the mother can’t be bothered to take responsibility for her actions. And when you start getting into the gory details of how these fully-formed babies are cut up and sold for parts, the cruelty becomes even more evident. This Warren quote is the work of an insane person. What if I personally believe that abortion as an elective surgery is wrong? Does Warren still think that I should be mortified by a 20-week abortion ban? I’m sure she does, but what could she be basing this claim on? “DO NOT let #antichoice extremists get their way. The Senate is holding a vote to ban abortion at 20 weeks TODAY. Horrifying. We are a prochoice nation – call your Senator NOW + demand #NoAbortionBan,” wrote Milano. Again, it’s horrifying to kill healthy unborn babies, allowing them to be parted out and sold for scrap. Most people would consider snuffing out babies to be an extremist position, not putting some reasonable regulation on the unnecessary practice of abortion. cru·el /kro͞o(ə)l/ adjective: willfully causing pain or suffering to others, or feeling no concern about it. dan·ger·ous /dānj(ə)rəs/ adjective: able or likely to cause harm or injury. hor·ri·fy /hôrəˌfī/ verb: fill with horror; shock greatly. Killing a healthy 5-month-old unborn baby is cruel because it willfully causes suffering. It is also dangerous to the unborn baby because it causes harm and injury. It is horrifying that liberals think banning 20-week abortions is either of these things and greatly shocking that they have no feeling or concern for human life. The House Intelligence Committee voted Monday to release a classified memo to the public detailing alleged abuse by senior Justice Department and Federal Bureau of Investigations officials in their investigation of the Trump campaign. The committee voted on a party line, according to the Ranking Member Adam Schiff (D-CA), who gave a press conference after the decision. “No decision will be made on the release unless and until the Congress, after the required vote, provides it to the White House. The memo reportedly details — among other things — how senior officials abused FISA to obtain a surveillance warrant on Trump foreign policy campaign adviser Carter Page. 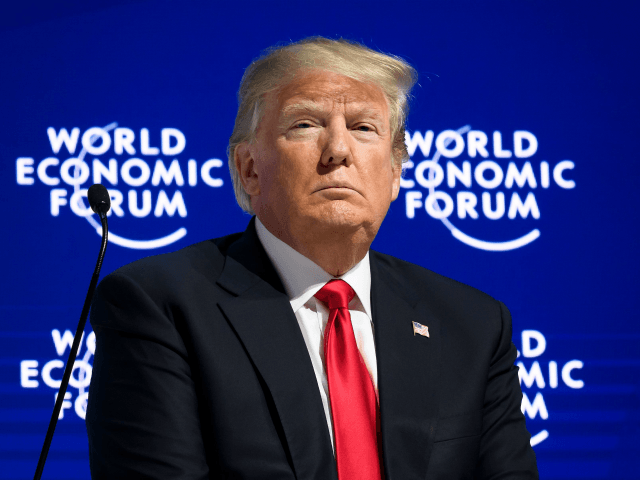 5G Hysteria: Is the Trump Admin Planning a Nationalized Network? It’s been a whirlwind day in the telecommunications world. Last month, the Trump administration previewed plans to “improve America’s digital infrastructure by deploying a secure 5G Internet capability nationwide.” But details were scant. Does that mean a public-private partnership involving spectrum allocation and wireless carrier investment, or an unprecedented plan to nationionalize the nation’s 5G infrastructure? The latter is the subject of a memo and PowerPoint presentation from the National Security Council (NSC), published on Sunday by Axios. The story cites a source familiar with the document’s drafting who acknowledges the proposal is an “old” draft; a newer version is neutral about whether the US government should build and own the 5G infrastructure itself. Multiple White House officials confirmed to Recode today that the NSC documents are indeed dated, unofficial, and do not reflect a major policy announcement. Nationalizing a private industry is not current FCC policy, so it’s no surprise FCC Chairman Ajit Pai quickly condemned the report. That may have been the end of it, until White House Press Secretary Sarah Huckabee Sanders commented on the administration’s 5G network plans in today’s press briefing. The documents do not appear to have any visible security classifications, but Reuters says a senior administration official confirmed their authenticity and added that the proposal is still six to eight months away from being presented to the President. So here’s where we’re at: the question of a nationalized government 5G network is still very much an open one, but it’s clear that the Trump administration is developing potential proposals for nationwide 5G. The leaked NSC PowerPoint and memo obtained by Axios discuss deploying a nationwide 5G network in the “mid-band” (3.7-4.2GHz) spectrum by the end of President Trump’s current term. The proposal’s main arguments in favor of nationalization are to compete more effectively with China in network infrastructure, and to enable emerging technologies such as self-driving cars and virtual reality. There are a lot of levels to this. PCMag took a closer look at the leaked documents to break down many of the technical details, as well as the wide-ranging arguments and logic used to support the proposal. 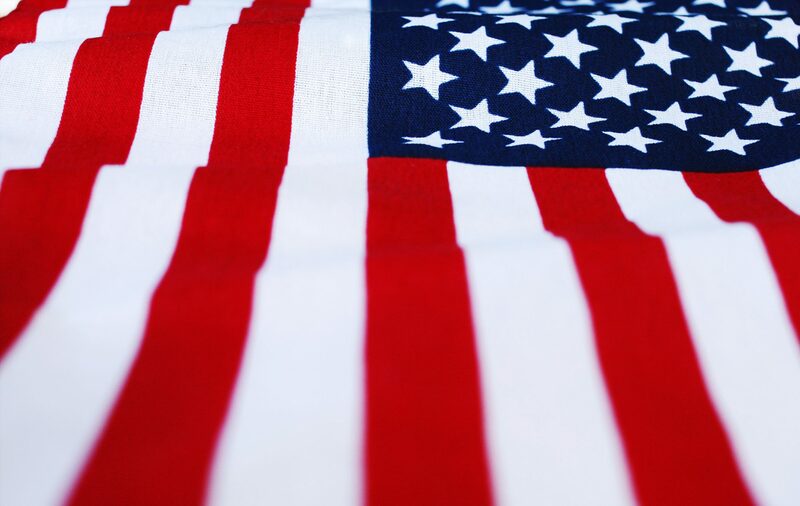 It’s unclear whether the government would build the infrastructure itself or form a consortium with top telco companies including AT&T, T-Mobile, and Verizon, each of which is already heavily invested in building out 5G networks. Entitled “Secure 5G,” the PowerPoint likens a nationwide 5G network to “The Eisenhower National Highway System for the Information Age.” The core argument posits that an American 5G network would serve as the counter to China’s “One Belt One Road Initiative,” giving the US a secure network to defend against Chinese economic and cybersecurity threats. However, the 5G network would only be built over “mid-band airwaves,” as opposed to the low-band and high-band spectrum currently built out in 4G networks and supported by most network hardware. The proposal would allow wireless providers to compete with each other outside the government-run spectrum, with the federal network serving as the backbone. Mark Hung, Research Vice President at Gartner, leads IoT and wireless communications research for the analyst firm. He told PCMag the most immediate challenge is simply a lack of available mid-band hardware, especially in an extremely unrealistic three-year timeframe. The 5G plan may be motivated by trying to keep pace with China, but Hung said there are a few key differences between the US and China in this respect. China has two equipment providers capable of building this kind of hardware—Huawei and ZTE—whereas the US has limited options. The wireless networking gear market is highly consolidated as it is, and the US has already restricted US contractors from using Chinese hardware. Another major issue is that there has never been a consumer-facing US communications network owned by the government (there are military networks). The nationalization plan proposes superseding state and local governments to create a federal process for installing the wireless equipment needed to operate the 5G infrastructure, which would be a mass-scale federal encroachment into local law. At the same time, Hung said this would require more base stations. All of the major carriers are looking into extremely high-band 5G networks, but Hung gave the example of the network Verizon is currently building out in Sacramento, California. It relies on a network of small cells, which present a lot of advantages once the network is up and running but necessitates even more equipment and presents large-scale building and permit challenges nationwide. There’s also the question of security, which the proposal states a 5G network would provide. While cellular networks are far more secure than the Wi-Fi networks of smart devices caught up in botnets and other attacks, Hung said the “security” referenced here is more about creating US 5G infrastructure as opposed to relying on Chinese equipment. That said, nationwide 5G would still rely upon multiple interconnected networks. One aspect of the proposal that Hung said does hold up is 5G’s ability to enable more emerging tech. The jump from 3G to 4G was largely a speed upgrade. While Hung said the difference between 4G and 5G is about 10x speed, he also pointed to two other main technological pillars that form the foundation of 5G: massive scalability and decreased latency. “5G can scales from hundreds of endpoints up to hundreds of thousands to support a lot of applications, and the reduced latency almost feels like you’re touching the end of the network. This reduced latency could enable all sorts of remote applications such as connected cars,” he said. Finally, the proposal places a good deal of weight on the US need to compete with China in artificial intelligence as part of a larger “AI Arms Race.” Advanced AI development could certainly benefit from 5G networks, but the two are not closely related enough to use AI competition as a justification for building a nationalized 5G network in three years. The proposal’s logic tying AI to 5G is tenuous at best. A government-run network would be a 180-degree policy reversal from the Trump administration’s current positions on deregulation, telecommunications, and granting more autonomy to private sector businesses. So it’s no surprise that a bevy of statements have come out criticizing potentially nationalized 5G infrastructure. “We share the Trump administration’s belief that America must do more to lead and capitalize on the 5G revolution, but the best way government can help is by getting out of the way. The idea that the federal government, mired by waste and fraud in nearly all of its ventures from the Obamacare exchanges to the F-35 fighter, is better suited than competing private-sector telecoms to build a functional and affordable 5G network with anything resembling haste is laughable. Nationalizing any part of the 5G market would be a massive regression in what we agree is an area where America must catch and surpass the capabilities of China. “In addition to concerns about inefficiency, the idea of granting government singular control of the 5G network should be setting off alarms for all Americans concerned with privacy. Considering the recent reauthorization of FISA’s Section 702, it’s clear that our nation’s national security establishment already has plenty of tools to breach the Fourth Amendment—we shouldn’t hand them this bazooka. FBI Deputy Director Andrew McCabe has “stepped down effective today,” reports NBC News. “McCabe, who served a brief stint as acting director of the bureau, was already expected to leave. He will stay on “terminal leave” until he is eligible to retire with benefits in March,” reports CNBC. McCabe has been at the center of ongoing tensions between the White House and the FBI and has reportedly been under pressure to quit from President Donald Trump, whose campaign is being investigated for possible collusion with Russia. Trump was asked on Monday whether he knew McCabe was stepping aside and the president did not answer. Last week, the Daily Beast reported former FBI Director James Comey, bureau Deputy Director Andrew McCabe and Deputy Attorney General Rod Rosenstein are officially named in the “shocking” FISA abuse memo. According to the Washington Post, McCabe intended to resign from the FBI once he was eligible for full pension benefits in March. 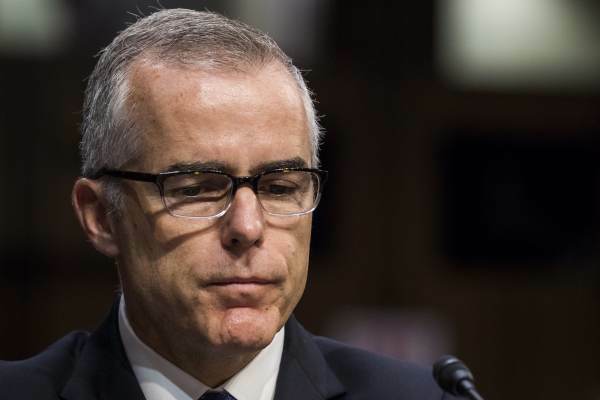 The post BREAKING: FBI Deputy Director Andrew McCabe – Named In FISA MEMO – STEPS DOWN EFFECTIVE TODAY appeared first on The Gateway Pundit. Why aren’t the Democrats horrified by the corruption at the FBI and DOJ? It is becoming clearer by the day, after over a year of investigations, that the Obama administration did indeed weaponize the DOJ, the FBI, the CIA, the ATF, the IRS and the NSA. Over those eight years, each of the above agencies was transformed into an arm of the Democratic Party tasked with crippling the opposition and abrogating the Constitution. Since all of the mainstream media already were arms of the DNC, it is well and truly a miracle that Donald Trump prevailed throughout his campaign to win the election, as the entire DC bureaucracy and media were aligned against him. Most of them still are. Those law enforcement institutions in which Americans have put their trust and faith for many decades have been thoroughly compromised by a group of bad actors at the top, self-appointed arbiters of electoral politics. Besides sullying the reputations of their institutions, this “secret society” of persons who believe themselves to be above the law has lethally betrayed the rank and file employees of those agencies. The public has seen only a fraction of the material that, according to those who have seen it, proves higher-ups at the DOJ and FBI colluded to clear Hillary Clinton of any responsibility for her many crimes. These operatives knew she had ignored all the rules regarding classified material by having her own private server. They likely all knew the Clinton Foundation was nothing but a pay-to-play outfit to enrich the Clintons (only 6% of its funds went to charity). And this bunch still thought she was qualified to be President, this woman with a forty-year history of lying, cheating and scheming! Are there no essential values among these persons privileged to wield power over the rest of us? In collusion with the Clinton campaign, the DNC, the FBI and DOJ worked together to produce and then use fabricated opposition research to obtain FISA warrants to spy on possibly hundreds of people connected to the Trump family and campaign. They did this to bring him down by any means necessary. As many people have observed, this is the stuff of the former Soviet Union and third-world dictatorships. Information is being released in dribs and drabs, but enough has been made public for all to know that this is the biggest political scandal in American history. The Republicans want to release a memo that is a summary of what the House Intelligence Committee has seen so far. This memo is based solely on documents provided to the committee by the FBI and the DOJ. The Democrats are fighting the release of said memo. The ever-obsessed Adam Schiff is determined that no member of the public be allowed to see what our elected representatives have already seen. We are apparently too stupid to grasp the complexities of this summary. Schiff still believes the fabricated Trump/Russia collusion narrative, even though he has seen the documents and texts from Strzok saying there is “no there there” ten months into this scam investigation. 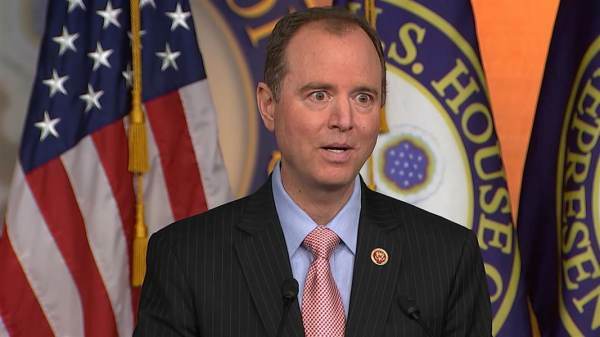 Schiff has invested so many television hours in pushing his version of events, the one he so fervently wants to be true, that he can’t let go of it even as it is revealed to be a malicious plan by a group of arrogant civil servants, all of them Democrats. What is so distressing is that no elected Democrat, not one, has expressed shock or concern that these agencies have been so corrupted. Given what we know so far, every member of Congress and every member of the press should be equally horrified. This level of criminality should offend everyone, every citizen and every elected official. But to the left, it’s just another dust-up created by those rascally Republicans. Use our law enforcement agencies to destroy a campaign and/or to bring about the impeachment of a President? “So what” seems to be the attitude on the left. The Constitution be damned. Among these culprits, who include Obama, Hillary Clinton, John Brennan, James Clapper, Susan Rice, Samantha Power, Andrew McCabe, James Comey, Rod Rosenstein, Lisa Page, and Peter Strzok, there is no honor, no respect for the law, the truth or the American people. Shouldn’t the Democrats be as angry about this as Republicans? Has their hatred for Trump so impaired their judgment that they have sacrificed their integrity, their respect for ethics and the law? How else to explain their full engagement in the cover-up, fueled by their wholesale denial of the facts? Once DOJ IG Michael Horowitz’s report is released, and if the FISA memo is made public, much more will be clear to everyone. One has to wonder how the Democrats will recover their lost dignity. Their many months-long defense of the indefensible will have done significant damage to their brand unless Democrat voters are as unscrupulous, as unconcerned about honor and ethics as their elected representatives have proven to be.